The Movie Star REAL Two Headed Baby! 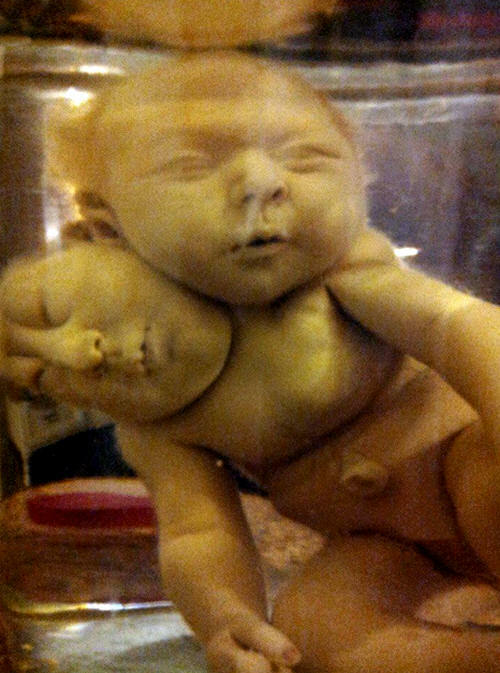 I have gotten a lot of questions about my two headed baby Billy Bryson, or in carny lingo, a pickled punk. My vast interest in the sideshow business came from my father. When he book his dog and pony shows into the West Coast midways, he would also put his grindshows up. Mostly on the Foley and Burke carnival from Redwood City, California. One year in the late sixties he had a live two nosed, two tongue cow alive that he bought from a farmer that came up to him in Fresno. I remember in those years he would have over 10,000 people come in at a dime. One year in the early eighties I remember him acquiring a real two headed pickled punk from a show painter at the Bakersfield-Kern County Fair. It was the signpainter's baby that he leased to my father. I remember him at the Bakersfield and the Fresno fair where he made a fortune. In the wintertime I used to take these freak animals to school for animal show and tell day. Needless to say, I was the hit of the classroom. When I was 11, I started my first sideshow as an aftershow for my father's circus. We would sell the tickets three quarters of the way through in the bleachers by making an announcement and they would raise their hand. From the quarter after sideshow, I bought a 30x40 army tent and had a 70 foot circus style rope bannerline (using rope rigging instead of braces). The midway circus show charged an admission of 50c. That's where I learned how to swallow swords at about 16. When I graduated high school, I was hired by Ringling Bros and Barnum and Bailey by putting an ad in Circus Report to see if anyone needed a sideshow/acts. The one person that answered was Ringling! Coming from a dog and pony circus, it was very prestigious to have Ringling call me to manage their last sideshow at their amusement park in Hanes City, Florida. After leaving Ringling Bros. Circus World in 1978, I framed a fair midway sideshow with a much larger tent and bannerline. I joined Butler's Amusements out of San Jose California. In 1978, we were playing the Petumla Fair in the Bay area. I had an 80' show up and the great Vanteen had his fifty foot freak animal and oddity museum booked in. At the fair, I was in the lineup and Vanteen was in the doglake or the very end of the lineup row. 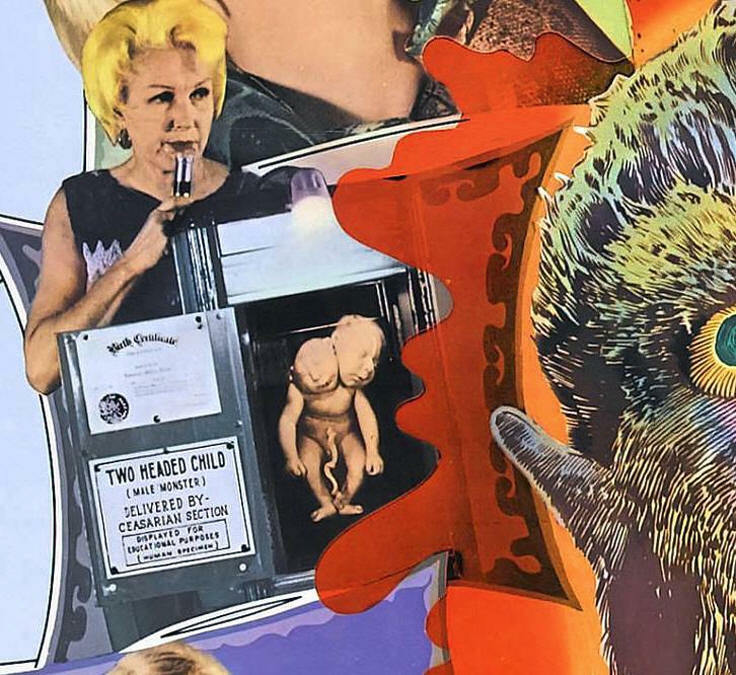 Vanteen had one five legged cow, one three legged chicken, one big snake, and one two headed baby, Billy Bryson, that was featured in the "SHE FREAK" (1967) movie, which starred Vanteen and family. I was doing a live show eating fire, swallowing swords, laying on a bed of nails having chun ks of concrete broken on me, the human pincushion act as well as the bally. Vanteen had his show framed as a grind. He was grinding in ten times the money I was with a full ten in one show. 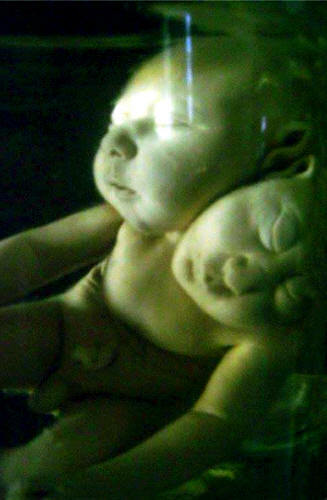 At the end of the fair, I asked Vanteen if I could buy his two headed baby since that was the feature of his show and why most people were going in to see his show. Vanteen said "No, that's what makes us our living and it's part of our family. I've had the baby a long time." I was 19 at the time. I continued with my live show for many years. When I was 35, I was approached by Jeff Murray, another sideshow showman, at the big Fresno fair with Butler's Amusements. Jeff informed me he bought Vanteen's entire show and offered me the chance to buy any of the props and attractions. I told him I was very interested and asked if he had Billy Bryson, Vanteen's two headed baby. He said he did and if I was interested to come up to his place in the hills an hour and half away. If I wanted it, he would take $2000 for it. That year at the Fresno fair, I had a big ten in one, a wild woman grind and a headless lady grind. I put 2000 one dollar bills into a large paper food sack. I remember buying Vanteen's Billy Bryson, his electric chair, and his full grown pickled three legged chicken. I remember having two plywood signs made and framing the baby as a single-o. I grossed over $5000 with it the first weekend. Twenty years later, I was with the Murphy Exposition shows in Houston Texas. We had a 20 day rain out. I remember bringing my pickup with the baby and a shrunken head back to California. When I hit Tuscon, I hit the Triple T truck stop, I needed more gas money. I asked if there was a swap meet in the area. The waitress told me there was one off the next exit called "Tankaverde Swap Meet". I went over there and for $11 I set up a 20x20 show. I made $800 the first Saturday and a little better the next day on Sunday. Sunday afternoon an old novelty guy came up to my ticket box and asked me if I was John Strong. Turns out it was V anteen in his 70s selling magic tricks and novelties at the swap meet. He asked me if I had Billy Bryson, his two headed pickled punk. I said I did. He went in to pay his boy a visit. He came out of my grindshow with tears in his eyes. He was glad I ended up with his two headed pickled punk because he knew how much it meant to me. How ironic it is that I really wanted that punk when I was 19 and got it years later and how much it means to me! There's been days when I just set that up at different festivals and events and done better than people with a college degree! Many people have offered me a small fortune for it, but it has a lot of sentimental value to me. What's more ironic is after reading Vanteen's site how much his life has paralleled my own. Vanteen lived in South Texas for most of his life where I now live. He did most of his business in California a the same venues I worked most of my career. 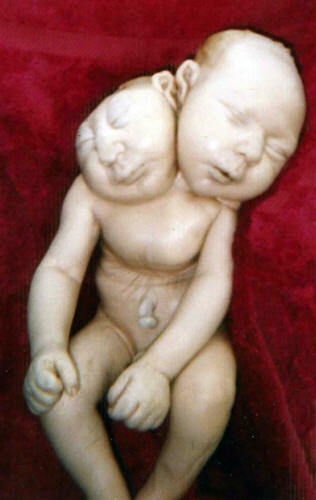 I wanted to write the history of the two headed baby because just posting a photo doesn't do it justice. Without the history of the baby, it loses its significance.